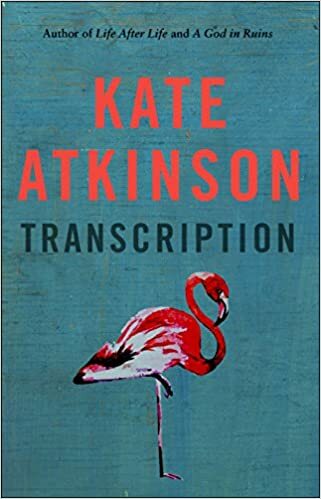 “Transcription” by Kate Atkinson – No need for a bodyguard of lies when truth has vanished. There are plenty of stories of naïve young women caught up in World War Two who prove plucky and shrewd when parachuted into occupied France to work in espionage or join the Resistance. This novel focuses on a more mundane form of spying, and at times almost seems like a parody of the genre. Obliged by her widowed mother’s terminal illness and death to give up her school scholarship and prospect of trying for Oxford, Juliet Armstrong finds life taking an unexpected turn when she is recruited by MI5 in 1940, initially as a typist transcribing bugged conversations between Fifth Column Nazi sympathisers and “Gordon Toby”, the work colleague masquerading as a Gestapo agent. Pehaps intentionally, the recorded conversations are monumentally boring and trivial – little threat to national security – but when Juliet is recruited to spy on one of the female members of an ultra-right wing club, matters take an unexpected sinister turn. As the plot switches continually between 1940 and 1950, when Juliet is working on childrens’ programmes at the BBC, the tale becomes less of a spy thriller, and more a case of paying the price for past actions. At times the story is quite funny, even a page-turner creating the sense that the plot is going somewhere interesting and unpredictable. Therefore I tried to suppress my irritation (over the excessive use of asides in brackets! ), together with a sense of unease over the underlying jokey, flippant attitude to war, which seems an aspect of Juliet’s personality. She is actually quite an unappealing character: instinctive lying without blinking, often for no apparent reason; getting a “buzz” from taking the occasional fool-hardy risk; proving ruthless and calculating under pressure; perhaps the ideal spy in her lack of emotion or commitment to anyone or anything. She is kind to dogs, or people who have suffered inadvertently through her actions, but does not seem deeply moved by anything. This impression may be the unintended consequence of shortcomings in the writing. I agree with other reviewers who have found the characters wooden and underdeveloped, the few really dramatic incidents implausibly contrived, and the long-anticipated climax so disconnected from what has gone before that it seems as if pages have been left out in a printing error. It is presumably intended to be a clever and surprising twist, but it seems like lazy writing, even insulting, to foist it on the reader in this way. Whereas most writers apologise for any factual mistakes in a novel, Kate Atkinson defiantly admits “I got a lot of it wrong on purpose” – permissible in the case of MI5’s refusal to “spill the beans” on the transcription process. The portrayal of BBC School Broadcasting in the early 1950s seems accurate as I recall, and it does not bother me if the rest is not. What I find harder to accept is an established writer taking the soft option of a plot with gaping holes. 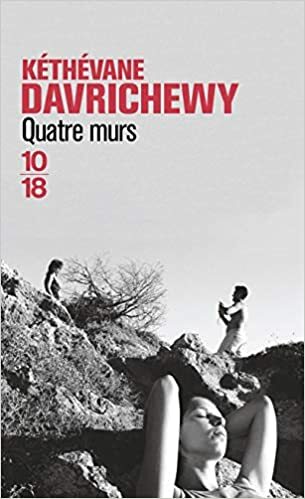 “Quatre Murs” by Kéthévane Dvarichewy – They mess you up your family…. As is often the case, although very close as children, four siblings have drifted apart into adult life. All they seem to have in common is a tendency to be troubled, even neurotic, perhaps owing to past repressed events which are gradually revealed. 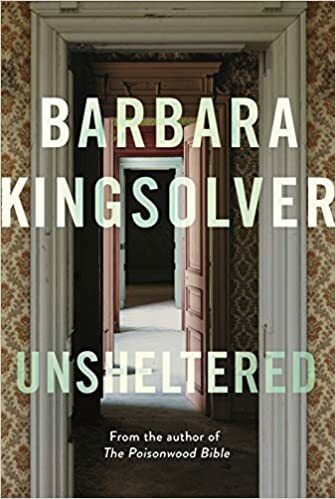 In the prologue, they are brought together physically by the final visit to the childhood home which their widowed mother has decided to sell. This inevitably triggers nostalgic memories, but tension is aroused by the mother’s wish to give some of their inheritance in advance to her two younger and less successful children, the twins Elias and Rena. The “four walls” of the title seem like a metaphor for the four adult siblings who need to decide whether they want to rebuild their relationships to prevent their family group from crumbling, once it has lost the “anchor” of the family home. To do this, they have to understand their relationships in the first place, which is hard in view of all the unspoken resentments, real or imagined guilt of the past. A reunion with their mother two years later at the Greek holiday home purchased by elder son Saul creates a situation in which the four can reflect on the past, perhaps make a few confessions and ultimately begin to rebond. The author uses the device of taking a different view point in each chapter: that of Saul, the “intellectual”, successful but troubled former journalist; then Hélène, the internationally known creator of perfumes who has perhaps erected a false screen of not wanting either children or a man in her life; Elias, who has not achieved his potential as a pianist and is separated from his wife, and Rena who has suffered a crippling accident, leaving her dependent on a crutch, perhaps another metaphor for emotional clinging to others. Is perception of the past changed by the passage of time, or does each individual see it in his or her own way? Memories take root differently, with hate linking us as much as love. Do only children, like their parents, make a fantasy out of having a large family, thus creating a heavy burden for their own brood of children? People worry how their children will turn out, what they can do to avoid mistakes in their upbringing, all the while finding it hard to see themselves as parents. Such are the observations produced by the characters’ continual navel-gazing. There are some strong dialogues (sometimes hard to keep track of who is speaking), leading me to wonder if this might have worked better as a film which could also have captured visually the ambience of the childhood house, or Saul’s Greek retreat. Critics have noted the subtlety and “non-dits”, unspoken words, of this novella, so perhaps I missed some of the revelations. For me, these proved too fragmented, the details sometimes hard to follow, except when delivered in a melodramatic outburst. One could argue that the real drama lies in the reader’s freedom to speculate over what may really lie behind all the obscure hints and allusions. For instance, do incestuous feelings lie at the root of a character’s malaise? Can it be hard for the siblings in general really to love anyone outside the charmed circle of their childhood bonds, now broken without being fully satisfied by anyone else? The French author may have been inspired by her Georgian heritage to create a family with parents who were originally Greek immigrants, one of Jewish extraction, but it was unclear to me how being immigrants influenced the essential exploration of family ties, except that feeling a little rootless may have encouraged the mother to foster excessively tight bonds between her children. 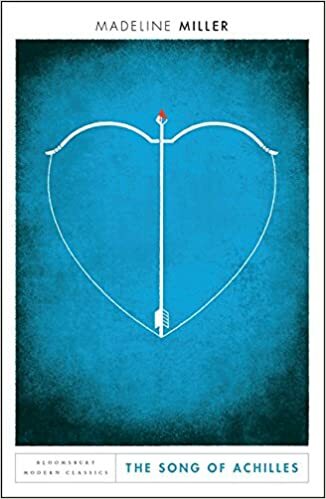 A potentially promising novella left me rather bored and disappointed with its underdeveloped characters, thin plot, and somewhat tame conclusion. Bored with her law degree course in Paris, drifting through a comfortable but passionless relationship with somewhat possessive fellow-student Bertrand, Dominque is intelligent and introspective, with a sharp wit, yet at around twenty still quite inexperienced and immature. So she is ripe for seduction by Bertrand’s attractive, worldly-wise uncle Luc, who claims to see in her a kindred detached, cynical spirit and suggests they embark on a short affair. She cannot resist the temptation, despite not wishing to hurt either Bertrand or Luc’s kindly wife Françoise who wants to buy her smart clothes and generally mother her. All too predictably, Dominique gets more than she bargained for. Will the affair end in tragedy, or leave her wiser, shaken out of her pose of treating life as absurd, living as she does in the 1950s existentialist Paris of Sartre and his friends? With her spare, skilfully honed prose, Sagan captures a sense of place and the spirit of the times, also managing to evoke empathy with Dominique, despite her rather unappealing passivity at times and perpetual self-absorption. She sustains an underlying sense of nihilism buoyed up with moments of wry humour and false gaiety, ending on an upbeat philosophical note, which may prove short-lived. 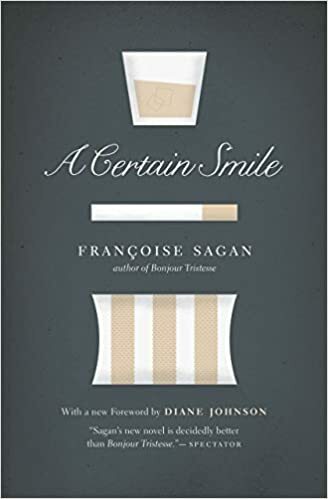 Already a bestselling author at the age of eighteen with “Bonjour Tristesse”, Sagan is impressive in her precocious ability not only to construct a sharply observed, tight novella, but also to portray the psychology of a young woman without a clear sense of direction, who finds herself wanting what she cannot have, yet dissatisfied by what is available. The fact Sagan was so close in age to her subject gives the novel authenticity, although she was adamant at the time that her books were not autobiographical, rather captured moments of life. Reading more about her life I learned how Sagan became addicted to alcohol and drugs, had a string of unhappy relationships, apart from with the fashion designer Peggy Roche, had to give up recorded interviews in later life after turning up once too often haggard, emaciated and in a confused state and died with heavy debts at the age of only 69. Perhaps she had more in common with her characters than she cared to admit, as regards an aching void beneath the brittle hedonism. This novel is best read in French to appreciate the style, which adds depth to an otherwise slight tale. 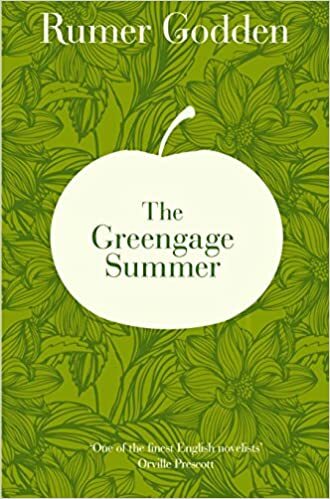 Published in 1958, this modern classic, a subtle psychological drama which manages to be both poignant and amusing about the loss of childhood innocence in a confusing adult world, was inspired by the author’s own experiences on a family visit to France in the early 1930s. Whereas the well-known film of 1961 has dated, the book retains the power to hook both teenagers and older readers. With a botanist father who spends most of his time travelling abroad, and a mother who struggles to cope, narrator Cecil Grey and her four siblings chafe against the tedium of life in the pebble-dash suburbia of “Southstone”. Their mother’s impulsive plan to shock them out of their self-centred moaning by showing them the French battlefields, goes awry when she develops septicaemia from a horse-fly bite, and has to be hospitalised. This coincides with the eldest sibling Joss being perhaps somewhat implausibly struck down with acute PMT for several days. It is a plot device to free the other children to run wild in the French hotel where they are reluctantly accepted as second-class guests. Superficially charming and characterful it is in fact the scene of some shady goings on, as gullible foreign visitors to the nearby battlefields of the Marne are conned with a regularly maintained bloodstain on a carpet, and a human skull buried daily in the garden to be dug up by the hotel’s dogs. Gorging themselves on the windfall greengages in the orchard so that they are too full to eat them when served up at dinner, only Cecil who knows some French (from having to write out French poetry as a punishment at school) realises that they are being used as “camouflage” for the scandalous relationship between the proprietor Madame Zizi and her charismatic English lover Eliot. A kind of unofficial guardian for the children, who adore him, he is a complex character, showing empathy for them, as when he gives Willmouse, the only boy in the family, an art book to feed his precocious interest in fashion design, but the suspicion grows that Eliot is mainly motivated by his infatuation with Joss, a beautiful sixteen-year-old who is beginning to grasp and exploit the power of her sexual attraction. Deeply evocative and nostalgic in its descriptions of life in a historic French town on the banks of the Marne, and lightened with many humorous moments, this slow-burn study of human interaction morphs into a faster paced, tense crime story with one of those abrupt endings which leaves one reflecting on events and deciding for oneself what happens next. Very successful in her day, Rumer Godden is one of those now forgotten authors who repays revisiting.